While areas blanketed in too much shade are best suited for hostas and moss, partially shady spots are well catered to the needs of many tasty crops. Most leafy greens, including kale, chard, mustard greens, spinach, lettuce, and arugula thrive with three to four hours of sunlight per day. Root vegetables and legumes generally do well with four to five hours. Running vegetables, corn, tomatoes, and peppers love plenty of sunlight, however. Those of us with a vast garden area may enjoy growing zucchini, cucumber, squash, eggplant, and other running vegetables without too severely compromising their allocation of space for other plants. 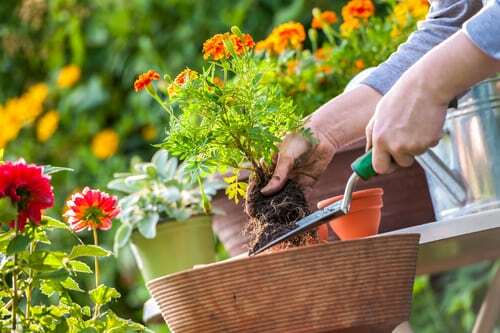 However, many have only a modest amount of ground available, and for such gardeners, calculated planning is crucial in making the most of what they have. Tomatoes can grow up instead of out, and typically yield great results in our area. Peppers, a wide variety of herbs, and corn are also good space-efficient crops that do well with the conditions endemic to our region. Plants that thrive with a lot of water should be situated at the foot of a slope, with those whose water needs are less intensive at the top. With that said, crops should not be planted on slopes too dramatic, else running rainwater will wash away the topsoil. Another element to consider is crop rotation, so nutrient levels in different areas of a garden can maintain balance over time. Plants grown in nutritious soil reap the benefit of a richer mineral content crucial to a healthful diet. Some such minerals include magnesium, iron, and zinc.